Aakash is a graduate student interested in educational technology. He is particularly interested in developing interactive technology to enhance educational quality in rural and disadvantaged areas. He is currently working on Chem+C project at Third Lab. He is pursuing his Ph.D. in Computer Science. Before Virginia Tech, he worked at PayPal where he was part of the team developing and maintaining the transaction history and details pages. He worked on various technology stacks and pioneering works during his two-year stint at PayPal. 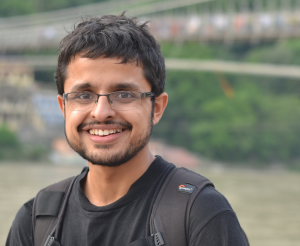 He completed his undergraduate from NIT-Allahabad majoring in Computer Science and Engineering. He is from Kathmandu, Nepal. He enjoys traveling and is also an amateur photographer. Some of his images can be seen on his Flickr page.